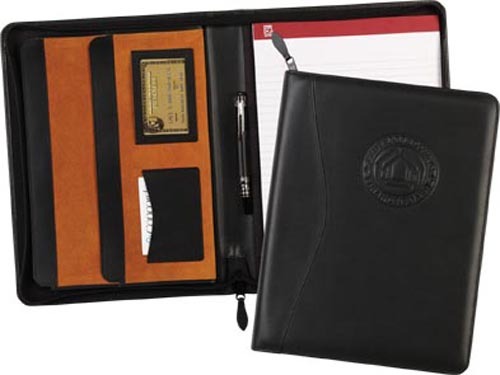 A luxurious zippered top grain leather padfolio for the true professional. Keep all your necessary paperwork for the meeting in the large suede gusseted pocket. Also contains a second interior pocket, clear card pocket, business card pocket and pen loop. • Imprint area: Front cover 4" x 3"